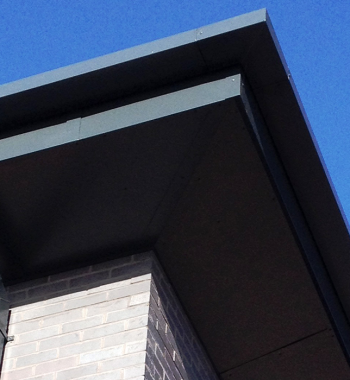 The project was to provide an aluminium rainwater system, including fascias and soffits to a newly built office building in Llanishen. 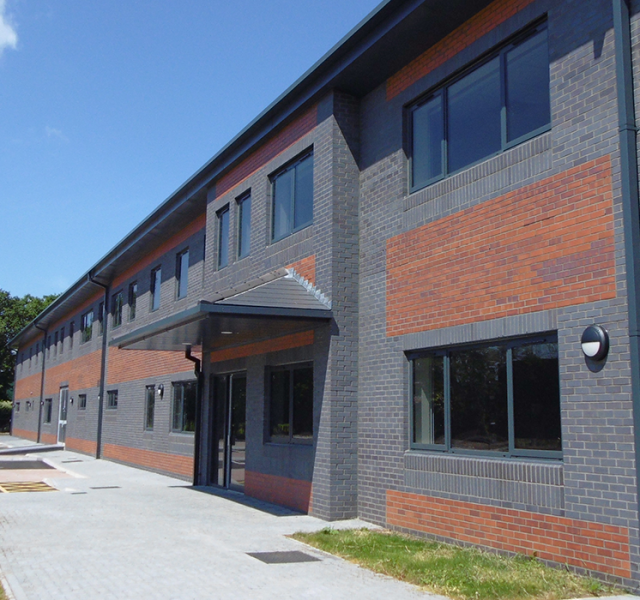 The building is likely to be offices for multiple businesses, ideally situated close to the M4 and Cardiff. 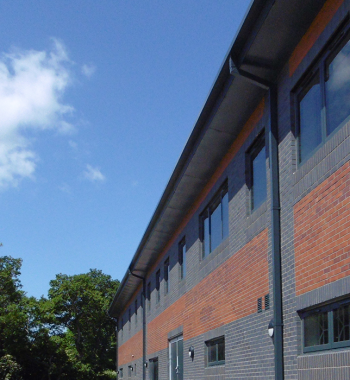 K S Barry provided ARP with drawings for tendering for the contract and a site visit determined the exact dimensions of the building. 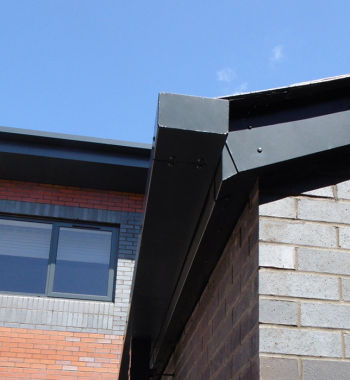 Full size samples of the Fascia’s and Soffits, were supplied free of charge in order for the contractor to gain approval from the client. Once the samples had been approved, the quote was compiled and issued to K S Barry. 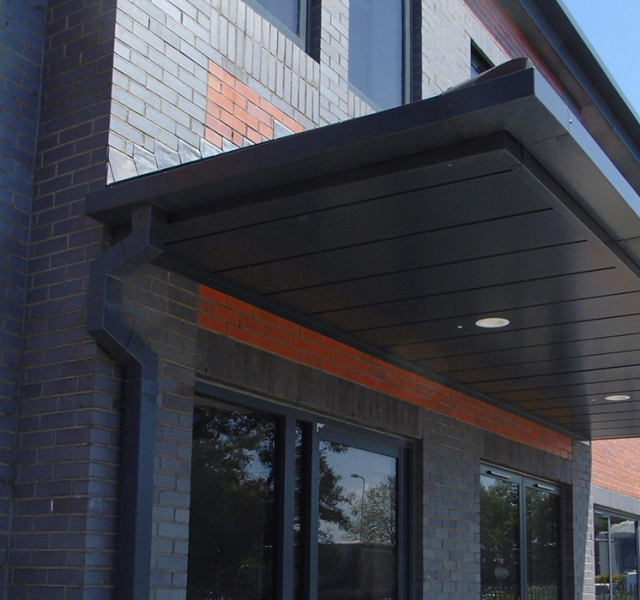 Due to the success of the project, ARP were asked to supply further Fascia and Soffits and bespoke fabricated aluminium flashings to fit around the roller doors. Another visit to site was required to obtain relevant measurements before consulting with our in-house CAD Team and production to enable us to supply the additional items. “By working together we have managed to meet the client’s requirements”. 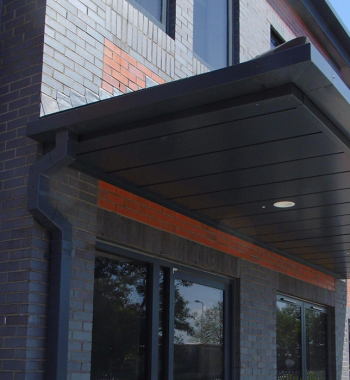 ARP provided the aluminium for the whole contract, which consisted of Legion Box Gutter, Colonnade Rainwater Pipes, Trueline Fascia and Soffits and Trueline Bespoke Fabrications for roller doors. 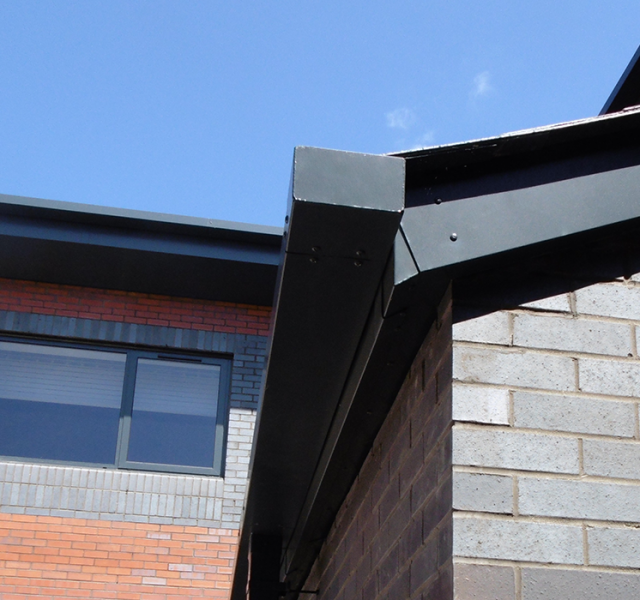 All the aluminium was polyester powder coated in ARP’s in-house paint line to a standard colour finish of RAL 7016 Grey. 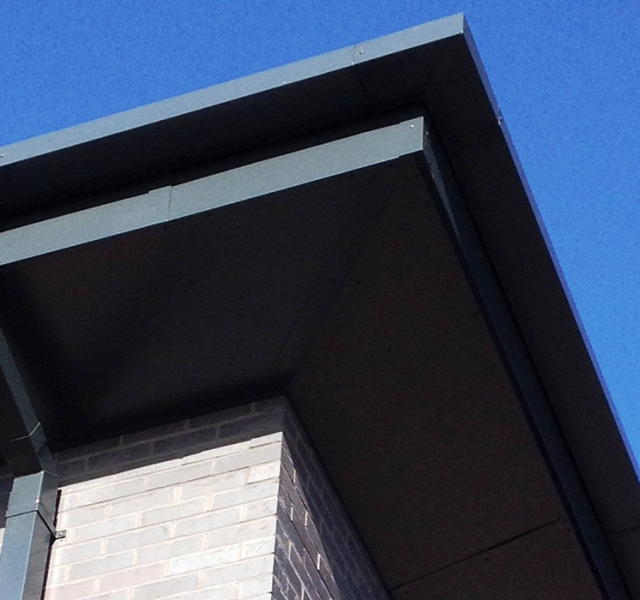 Aluminium is the most suitable material for this build as it is strong, non-corrosive and made from recycled aluminium, it helps enhance the architectural elements of the building, but will also give 30 years plus of functional life expectancy with little maintenance, making it a truly ‘fit and forget’ system. The ongoing relationship between KS Barry and ARP ensured that at all stages of the contract from quoting, samples, production and supplying the products, ARP were able to support and advise K S Barry to guarantee that the goods arrived in good time and were to the specification agreed.